Animal Kingdom’s 15th anniversary will surely be celebrated in many ways but recently I got to take part in a fun one for pin trading fiends like myself – the D23 Pin Trading Day at Walt Disney Imagineering! Held on the Glendale campus of WDI, once again D23 members and their guests were able to flood the campus (and again no pictures were allowed). The occasion? 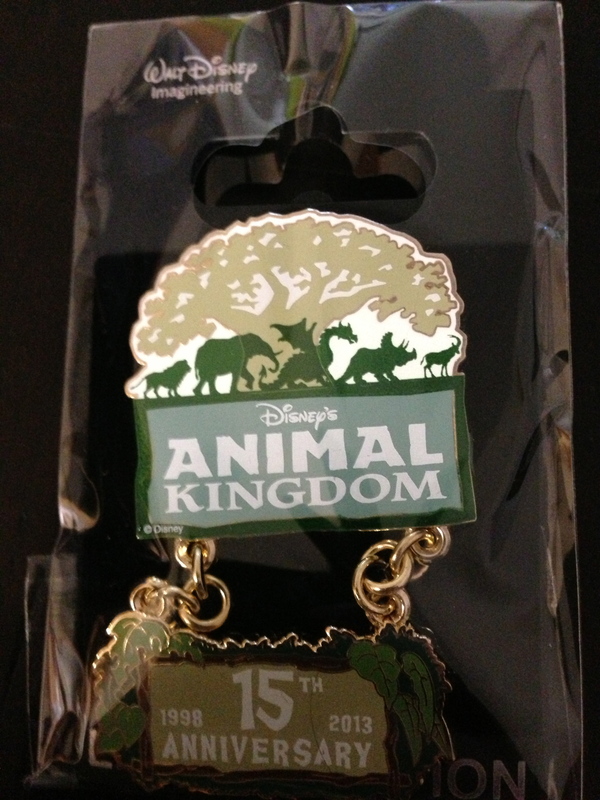 The celebration of the 15th anniversary of the Animal Kingdom park in Orlando, FL. To commemorate the event, they had displays of the original artwork used to design the park as well as construction photos of it being built. I was fascinated with the detail of the Tree of Life and every time I see new photos and new pictures, I find new animals I hadn’t seen before. They had a maquette of the ride vehicles for Expedition Everest on display as well as trinkets and doo dads from opening day 15 years ago. One of the coolest things they did was have the original Imagineers who have worked on Animal Kingdom come and share a little about their work on the park and then sign free prints that were gifts to all attendees. 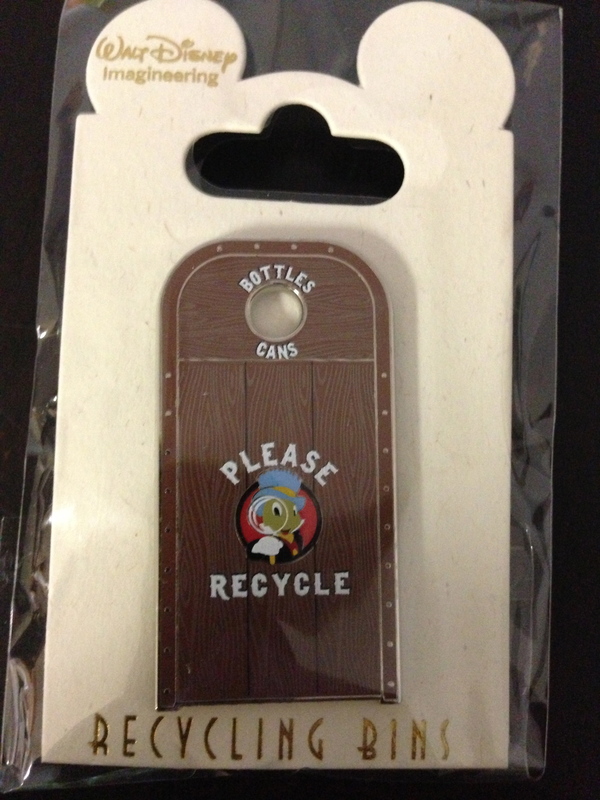 One of the Recycling Bin pins available at this WDI release party. But for us pin traders, the action was inside of Mickey’s of Glendale, the company store located on the WDI campus. Today was pin release day and as you can imagine they had a wide variety of very rare and very cool stuff for purchase. They had a wonderful framed set of the second wave of Jessica DCA pins for $300. You might think $300 for nine pins? But considering that they were Artist Proof versions of the pins framed beautifully, it was a bargain. Too bad they only had two of those and they were gone faster than you can imagine. Still, I got there early enough to get a good place in line and I was able to get all the pins I had wanted and more. 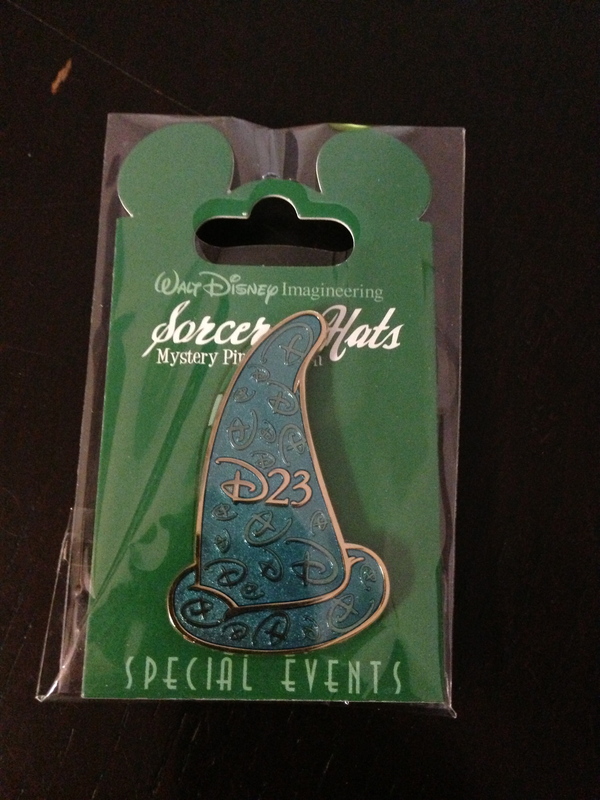 For release that day was not only the 15th anniversary pin for Animal Kingdom (LE250), but also the newest Disneyland Recycling Bin Pin series and the latest of the ever-popular Sorcerer’s Hat Mystery Pin series. They also had new Test Track logo pins (not my personal cup of tea) and a surprise D23 Event pin – quite the beautiful pin might I add and limited to one per person. From the 60th anniversary celebration of Imagineering were these terrific and beautiful pins. But in addition to these great release pins, they also had some pins available from previous releases I hadn’t seen. Celebrating the 60th anniversary of Imagineering, they had “land” pins featuring the different areas of Disneyland park. Really beautiful and simply done in a 50’s retro style, these pins simply feature an original attraction from the time with the name of the land on it. 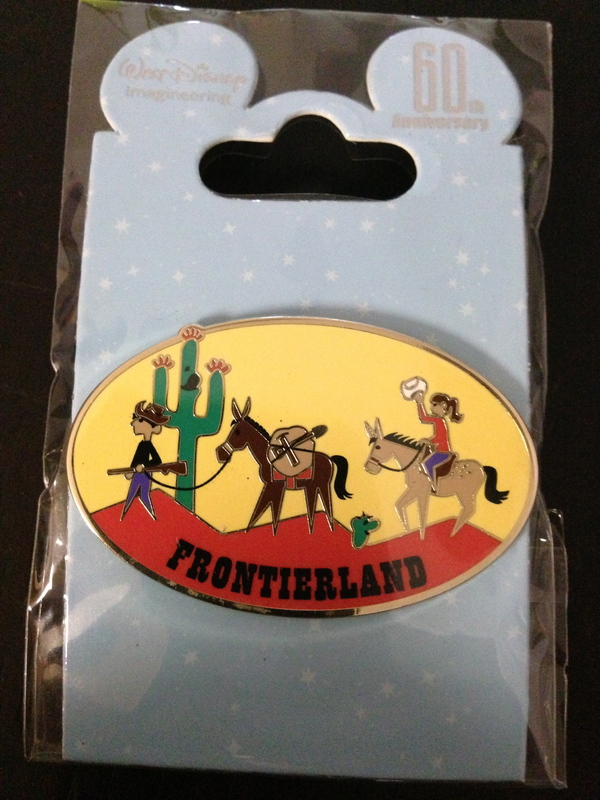 I had considered getting the whole set, but opted instead to only get the ones where I mainly worked – Frontierland and Adventureland. I had already spent WAY more than I had anticipated. If you are a fan of Disney, Disney Imagineering, or pins, you need to come to one of these events. And if you are a fan of all three, then why didn’t I see you down there? We made friends, met new pin folks, got to trade pins, interact with the Imagineers, and they even gave away free prizes. Can you get much better than that? For more information about these pin events, read my previous blog post on the New Fantasyland Pin Release at MOG here!